Meet one of our Malden youth! Over 20% of the population of Malden is Asian. Malden High School represents the most ethnically diverse high school in Massachusetts. Located just 5.5 miles north of Boston, along the Orange Line, Malden continues to be a hub for new immigrant families, especially for families that have been priced out of Boston’s expensive housing market. We knew there was demand for a youth program for Asian American youth because we already had a number of Malden youth travel into Boston weekly to be a part of our Chinatown A-VOYCE program. Earlier this year, we launched our A-VOYCE high school youth leadership program, conveniently held at Malden High School, with an initial group of 8 youth. During the summer, the program expanded to 15 youth, all from Malden. ACDC recently opened a Malden office across the street from the high school, so still very accessible to students. My (on the left) with friends at Coytemore Lea Park. “Hi! My name is My, and I’m a senior at Malden High School. I've lived in Malden ever since I moved here from Vietnam when I was only a year old. I have 2 siblings, a sister and brother, but my family feels so much larger than that because I was raised close to my cousins. Which I have 14 of! On my mom's side alone! Living in Malden has always been pleasant, it's so familiar and secure to me yet always changing its shops, residents, programs, and activities. The city continues to grow and improve—just like me! For one of our workshops, we asked youth to write about some of their favorite hangout spots in Malden. This is what My wrote. “Coytemore Lea Park is an easily accessible park that is really pretty and large. I go there often with friends, especially since they live near the park, and it's fun to go to when the weather is warm. The park has a lot of pleasant attractions for everyone to enjoy. There is one main path that stretches through from one side of the park to the other. There is a large playground in the middle of the park, a small seating area, a basketball court, and even a public garden. This is a place to me that holds special memories. Both my family and friends like to walk around the neighborhood, and we often come to this park. Going to the park always results in a good time for me, no matter what. The park looked different a couple years ago. It was the same size, but the playground was tiny and the main path was a dirt path. Whenever it rained, the path would turn into mud puddles and would make it slippery for me to walk. I hated it! Malden eventually renovated the park into what it looks like today, but that isn't the end of the story. It is the community’s job to maintain the park and keep it clean, especially the public garden. But some park goers allow their kids to run in the garden and trample the plants and flowers planted in there, making the garden very unpleasant to look at for the rest of the community who go to the park. However, members of the community soon worked together to try and regrow the garden. Today the garden is in the progress of becoming a really beautiful place to plant vegetables and flowers. Plus, parents are a lot more careful with their kids playing inside there now. We are excited to bring more Malden youth perspectives, like My’s, for you to enjoy. My, it’s great to have you as part of the ACDC family! 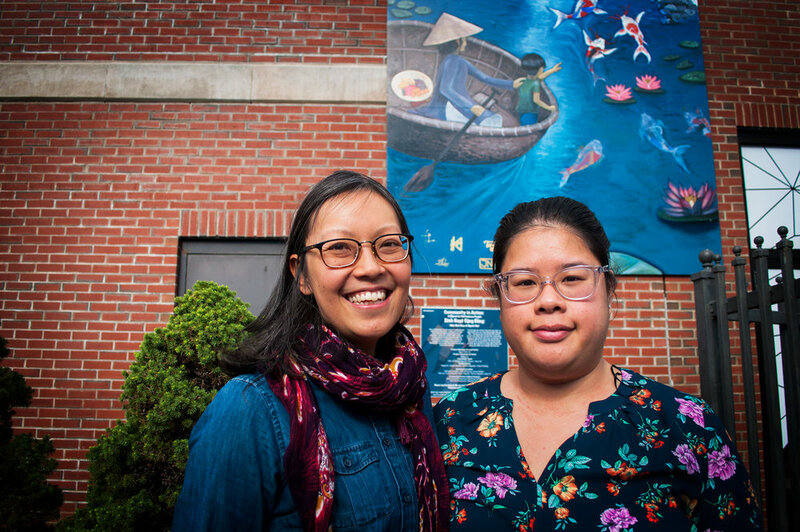 Amy (left) pictured with Carro, a former A-VOYCE youth from 10 years ago, in front of the new community mural in Dorchester's Fields Corner. ACDC started running youth programs in 2003, creating projects like the Chinatown Banquet, a series of short films featuring Chinatown’s history and community members. Asians Voices of Organized Youth for Community Empowerment (A-VOYCE) was developed in 2005. The program was conceptualized by a group of youth from prior years, who identified the lack of Asian American-centered or Chinese-language programming on the radio. The youth curated a public radio program discussing cultural and social issues, while developing the knowledge and skills to use media as a social and political organizing tool. 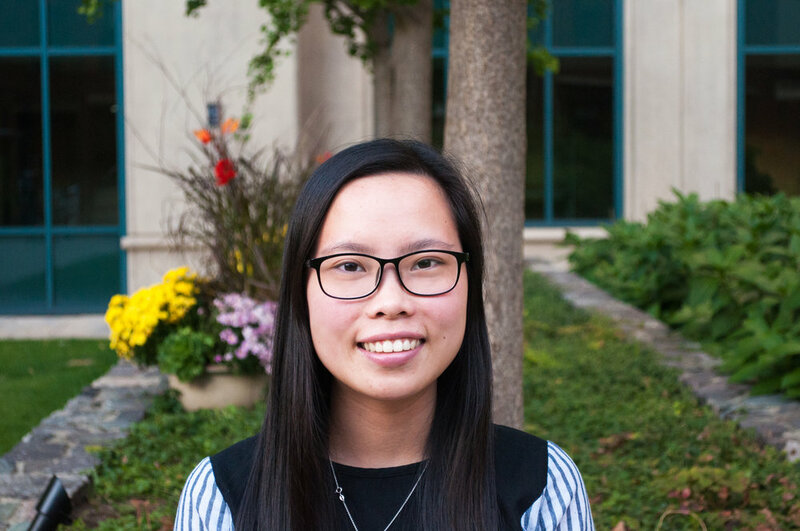 Amy Cheung served as one of the program’s first coordinators. With experience as a radio station DJ in college and a growing passion for working with youth, Amy found an opportunity to serve as an AmeriCorps Massachusetts Promise Fellow at ACDC to implement the A-VOYCE program, for which the previous youth cohort and program coordinator had set the objectives. 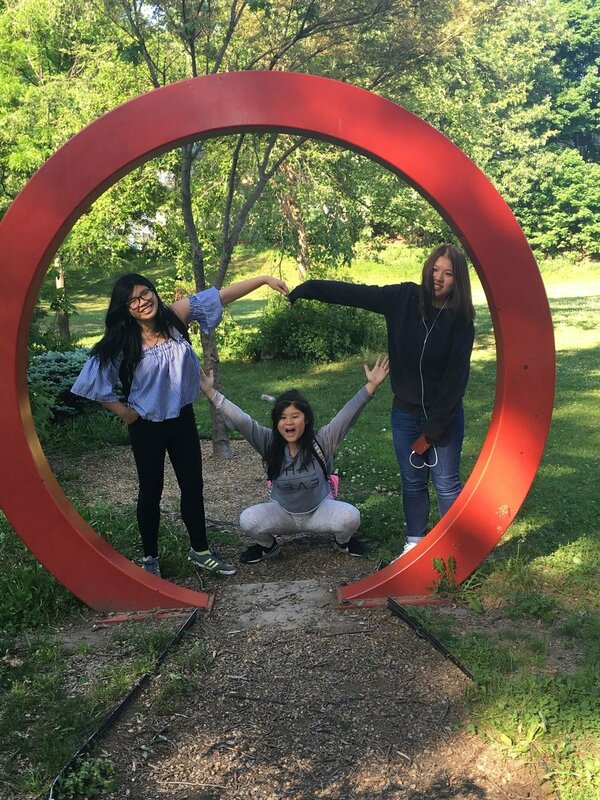 Amy recalls how facilitating a group outside of an academic setting created impactful, relational moments, “These experiences have a lot of value because as a young person going through the challenges of adolescence and life, having a fun and safe community can go a long way. When I got married a few years ago, I invited my former youth because a lot of my identity today is so intimately tied to my experiences as a young adult and doing youth work. They were an important part of that journey.